My boyfriend and I recently got into a new app, The Chive, and needless to say, we're obsessed, and are officially Chivers. Every day, The Chive releases a few albums and videos for the public to go through or watch. Whenever I'm in a bad mood, I gravitate towards The Chive. It's extremely entertaining, and provides for a great laugh, to say the least. However, the most amazing part of it is their dedication towards giving back, and you can really tell that their actions are infectious towards people who read the website/app. So...if you haven't checked it out, you should here. 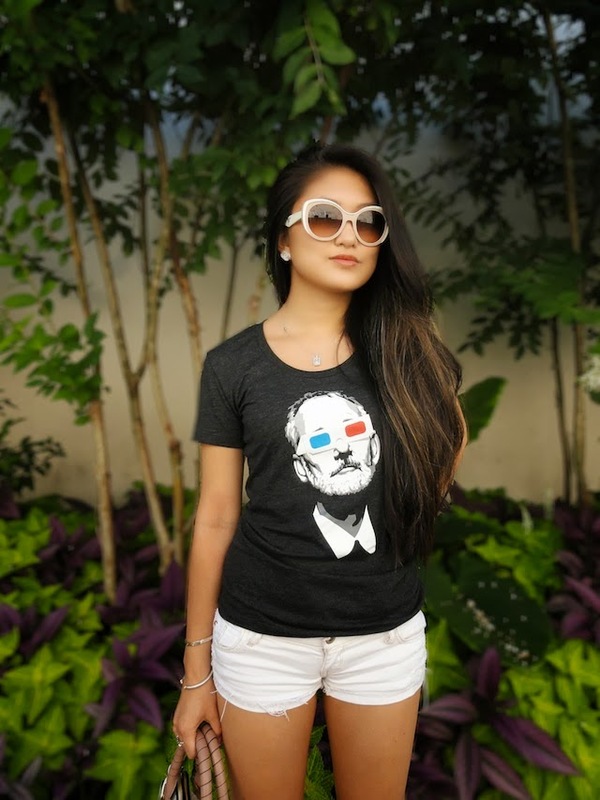 I'm sporting a t-shirt from their website, which showcases their Founder, Bill Murray in 3-D glasses. In this outfit, I paired high and lows. I threw on the t-shirt (which is SUPER soft by the way), and a pair of destroyed white shorts, with my favorite go-to heels of the summer, for a chic but casual look! I love your tee! And your shoes are pretty fabulous too. haha I love this look!